Mr. Malone is a Principal of Vertical Systems Group, responsible for managing the firm’s Market Intelligence and Analysis practice. In this capacity, he orchestrates all market research resources, oversees the firm’s proprietary databases and analytical tools, and provides consulting and advisory services to clients. He co-founded Vertical Systems Group with a goal of delivering practical, market-oriented intelligence to the networking industry and its users. He advises clients on the latest technology trends, sizing of new market opportunities, and business strategy. His clients include network operators, equipment vendors, user enterprises and investment firms. Cited as one of the 25 Unsung Heroes of the Internet, Mr. Malone is recognized for his expertise in quantifying the rate of new technology adoption and the resulting impact on the industry. His background is in strategic marketing and technology management, with more than thirty years of business applications and communications networks experience. 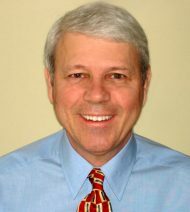 Before founding Vertical Systems Group, Mr. Malone participated in the start-up of a venture-funded telecom switch manufacturer, and previously held management positions at packet switching pioneer Tymnet and at a computer services company.